The University of Maine at Presque Isle will host a book reading by Maine writers Dr. Jenny Radsma, a faculty member at the University of Maine at Fort Kent, and Cheryl Grant Gillespie, a long-time public school educator, on Wednesday, April 3, at 7 p.m. in Campus Center. 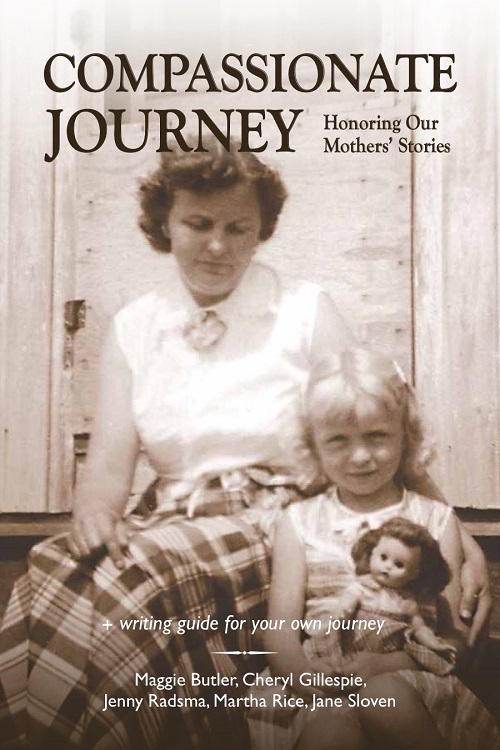 The two are among five women who authored the anthology Compassionate Journey: Honoring Our Mothers’ Stories. The book reading is free and open to the public. The book’s formation began when five women met at a writing workshop in Portland, put on by the Maine Writers and Publishers Alliance, with the purpose of exploring their mothers’ lives. The questions raised were so intriguing that they formed a writing group to complete the work begun in that workshop. 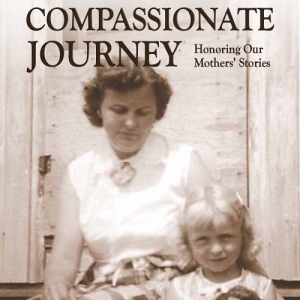 Compassionate Journey: Honoring Our Mothers’ Stories is the fruit of their efforts. In this anthology published in 2018, the contributors—Maggie Butler, Cheryl Gillespie, Jenny Radsma, Jane Sloven, and Martha Rice)—unravel the stories of their mothers and, in the process, reveal complex histories layered with love and laughter, trauma and courage, resilience and determination. With consideration given to the ways in which circumstances and the social norms of the time compelled their mothers to make certain choices, the authors came to a deeper appreciation of the past and the present, arriving ultimately at a more compassionate understanding of their mothers and themselves. Written with heart and honesty, this anthology includes discussion questions, a guide, and writing prompts for others wishing to take a similar writing journey. Dr. Jenny Radsma moved south from northwestern Alberta to live in northern Maine, where she is employed by UMFK. A nursing professor by day, she writes on weekends. She continues to take writing workshops, and her work has been published in Goose River Anthology, Echoes, and The Sun. When Radsma is not teaching, reading, or writing, she can be found biking, hiking, or snowshoeing, depending on the season. She still has hopes of learning to speak Dutch, Frisian, and French. Cheryl Grant Gillespie, a retired middle school English teacher, has published in professional journals during her 40-year tenure. She has also been published in Write to Woof: 2015, an anthology by Grey Wolfe Publishing, LLC, and has received recognitions from Ocean Park Writers for works of fiction and nonfiction. She contributes articles to the magazine Bethel Living. Gillespie is working on a fictionalized biographical sketch of her parents’ struggle in their younger lives. The authors will hold a book signing after the reading. Copies of the book will be available for $20 and can be purchased with cash, check, or credit card. The book is also available on Amazon.com as a paperback and for Kindle. For more information on the event, please contact UMPI’s Community and Media Relations Office at 768-9452 or umpi@maine.edu.